What Is the Range of a Crossbow? Few crossbow enthusiasts are consistently accurate beyond about 60 yards. While you may be able to launch an arrow several hundred yards with a crossbow, you cannot achieve accurate shots at such distances. The accuracy of a fired bolt drops precipitously at ranges in excess of about 60 yards. Although they have much heavier draw weights than many compound bows do, crossbows have much shorter draw lengths, which results in the two designs having similar ranges. The range of a crossbow is largely determined by a combination of the speed at which it fires a projectile and the weight of that projectile. For example, a 400-grain bolt, fired at 200 feet per second, will have lost nearly six feet in elevation by the time it travels 50 yards. However, the same bolt fired from a crossbow that fires projectiles at 350 feet per second will only have dropped 20 inches after traveling the same distance. 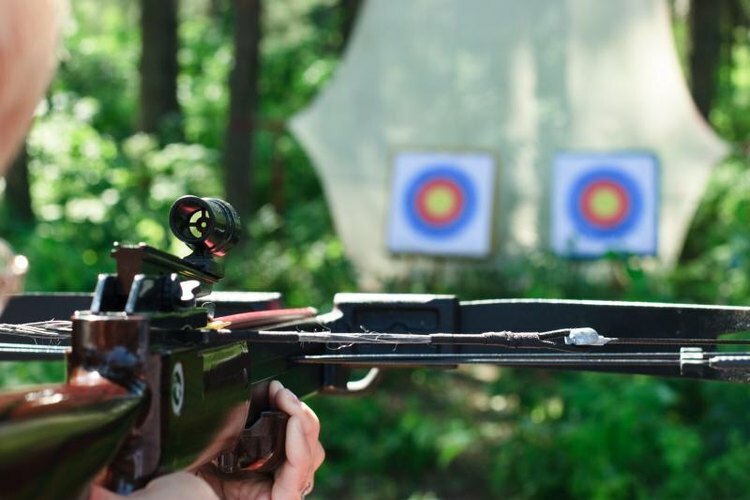 Best Crossbow Source: How Far Can You Shoot a Crossbow?